Product prices and availability are accurate as of 2019-04-12 01:57:02 EDT and are subject to change. Any price and availability information displayed on http://www.amazon.com/ at the time of purchase will apply to the purchase of this product. UltraKey 6 Home Edition from Bytes of Learning is the best typing coach you can get because it clearly demonstrates each new skill and rapidly builds typing technique. With 8 hours use, 20 minutes a day, you will learn to touch-type better than you ever thought you could! UltraKey 6 Home Edition assesses your current typing skill, setting a goal that is just a little better than you already type. Like every good coach, the program starts with lessons on how to sit and hold your hands. Then the program systematically develops new keystrokes, using the new keys in words and sentences. At appropriate times, the program suggests stretch breaks led by narrated stretching videos. Instead of the usual pop-the-balloon games, UltraKey 6 Home Edition develops typing fluency using real word processing, with accurate typing analysis and scientifically-based suggestions for improvement. Test your typing skills with built-in content or your own custom content, timing for up to 5 minutes. If you already have good typing skills, improve them by taking the lessons you need and challenging yourself to reach any higher goal you want! 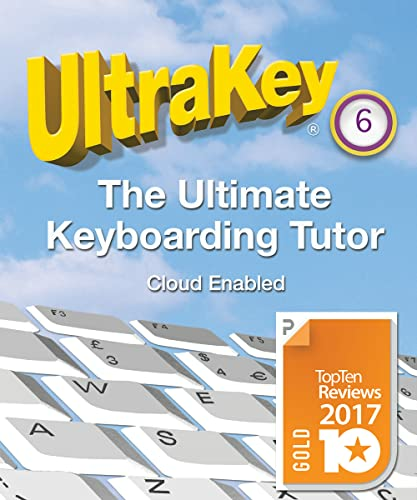 UltraKey 6 Home Edition is rated and proven effective with users age 8 to 88 and older! In practice, the program is used as young as age 6. All skills are demonstrated using clear graphical animation. 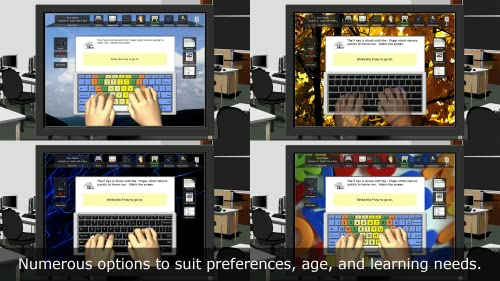 Different interfaces are offered for age, preferences and needs. The program is entirely self-paced. Challenge levels and practice weight are individualized. Numerous options can be set at the individual typist level. Practice content is easily customized and assigned. According to parents, younger and older children name UltraKey 6 Home Edition as their favorite learning game! The program is easy to operate, is clear about its purpose, and regularly praises children as they learn. Sets a personal typing goal and proceeds at the user's pace. Additional options to suit age and learning needs (parent help suggested). Provides effective instruction using voice, graphic animation, and video. Provides remedial help when problems are identified. Praises the child as typing improves and congratulates when goals are achieved. Genuinely helps children learn, so they can proudly show their parents. UltraKey 6 Home Edition provides effective instruction for every family member, while letting parents monitor each child’s progress and adjust the program to suit learning needs and interests. Effective for any family member with any learning needs. Reliable record keeping system lets parents review progress. Program settings let parents guide program operation. Create or import custom content including religious and cultural topics. 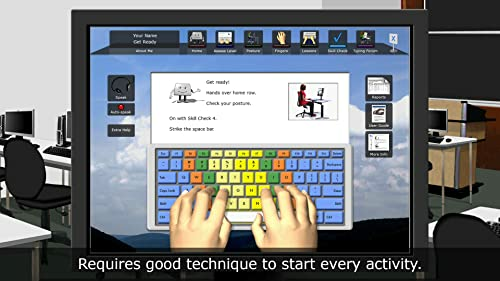 UltraKey 6 Home Edition is effective for adults because it has no childish elements, adapts to whatever ability the user has, and proceeds at the user's personal pace. Even when the person has good typing skills to begin with, UltraKey 6 Home Edition effectively helps the user reach new levels of proficiency. 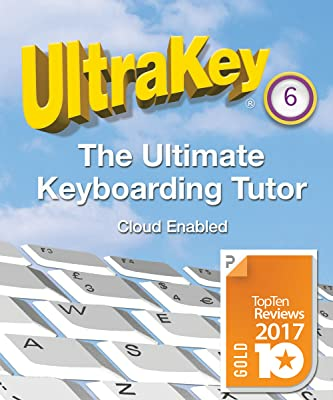 UltraKey 6 Home Edition is a popular choice for adult instruction in colleges, correction services, libraries, community centers and other facilities where younger and older adults are served. Adapts to your current level, whether you are novice or advanced. Choose your own age-appropriate interfacing. As friendly and appropriate for adults as it is for children. Import or create occupation-related content for practice and testing. Take 1-minute to 5-minute typing tests with accurate results. Generate certifiable reports based on international typing assessment standards. UltraKey 6 Home Edition is cloud enabled, thanks to the research and development conducted right here at Bytes of Learning. Wherever UltraKey 6 is installed, it can communicate with cloud-based records, whether hosted by the school or enterprise, or hosted by Bytes of Learning. Home users can make their own cloud! Just drop an UltraKey 6 Home Edition user record in a cloud-based drop-box and open it on any licensed computer installation. UltraKey 6 Home Edition works day in and day out. When users need help, the same people who make the software are there to provide assistance. Children, young people, and adults love UltraKey 6 because it challenges them, proceeds at their personal pace, and ultimately makes them winners! Additional Requirements: Active Internet connection required for product download, activation and registration. To install UltraKey, you must be logged onto the computer with administrator privileges. An up-to-date Internet browser (other than Microsoft Internet Explorer) is required on the PC to play video instruction files. Optional human audio included. Screen-reader friendly. Headphones suggested.